Austin, Texas, is one of the truly neat places we visited doing the show. There’s no doubt that the fishing there is fantastic but the city itself is equally fantastic. The music is really cool, the art scene is one of the best I’ve ever been around and if you don’t gain weight eating the barbecue, it’s your own fault. Blue cats are big and they are bad. A giant can grow to five feet in length and can weigh upwards of 150 pounds. And, they live as long as 20 years so they get real smart, too. They live in rivers, lakes, reservoirs and even in brackish waters. We fished for them in the Buchanan Dam and lake area on the Colorado River. That’s two dams up from the city. We concentrated on humps in 20 to 30 feet of water. That’s where they seemed to be feeding, although they weren’t all that active because of a cold front that swept through the area two days before. A side note: How many times in this series of blogs have you heard me talk about cold fronts that arrived just before we did, regardless of where we were fishing? The thing is we all face them. It’s not me and it’s not you. They just happen. It’s Mother Nature. So, if one blows in right before your next trip, take heart. They happen to all of us. Our basic rig was a simple Carolina rig. We used VMC Sureset Circle Hooks, 2/0 and 3/0. We cut a gizzard shad in half for bait. The tackle and line didn’t belong to me so I really don’t know anything about it except to say that it was heavy stuff, the kind you’d need if you hooked a true giant. We didn’t get a giant, but we did catch a big one. 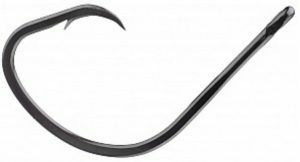 It weighed about 40 pounds and I’ll tell you in no uncertain terms that pound-for-pound it fought as hard as anything I’ve ever hooked in my life. The biggest of this species wouldn’t hardly make a snack for a blue cat, but it does have a well-deserved reputation for fighting hard. 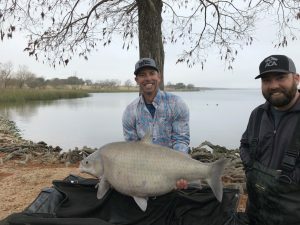 The world record is 3.71 pounds and was caught right here in Austin by Dr. Bryan Townsend in 2014. That’ll get your blood flowing, fishing right where the world record was caught just a few years before. 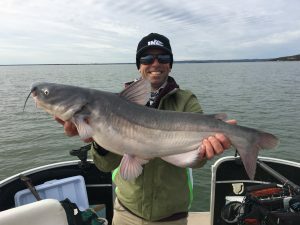 The fact that it was caught in Austin didn’t surprise me, though, because central Texas is the only place this fish lives, at least that’s what I’ve been told. In spite of its limited range, it has developed a serious cult-like following. We fished the lower Colorado River, below the city. We targeted areas that had a lot of rock and sand as well as a pretty good number of logs and other types of wood in the water. That’s the kind of habitat they prefer, and they don’t usually move far from it. To give you an idea of what we were fishing I’ll tell you that we had to use a jet boat to get to it. We fished with crankbaits and jigs. Our crankbait was a Rapala DT6 in Caribbean Shad. It’s a Custom Ink Color. We fished it on an Abu Garcia 7 foot Ike Delay Series Casting Rod — medium action — with a 6.6:1 Abu Garcia REVO Ike Casting Reel. 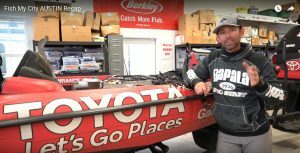 We spooled up with 12-pound-test Berkley Trilene 100% Fluorocarbon line. Our jig was a Missile Baits Ike Mini Flip, 1/2 ounce in green pumpkin. We attached a 3-inch Berkley Powerbait Chigger Craw as a trailer in green pumpkin. 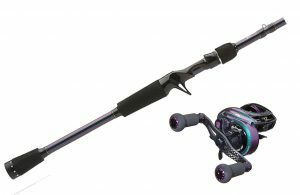 We used the same Ike Delay Series rod except that it was the 7 foot, 2 inch medium heavy version. Our reel was the same as well except that we went up to a 8.0:1 gear ratio to give us better control of the Mini Flip jig. We caught a 2-pounder. That’s a darn good Guadalupe bass! OK, despite what you might think the smallmouth buffalo is not a carp, although I will have to admit that it looks somewhat like one. They might not be carp but the guys who fish for them do it like they were a carp. First off, they fish in an area called a swim. That’s the same term carp anglers use for their spots. We went after them in the slack areas of the river system. 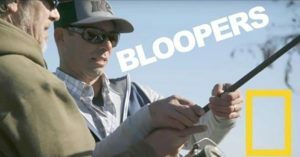 Fishing for smallmouth buffalo can be hit or miss. They’ll eat anything so any bait goes. I fished with locals who made their own bait, and to say that the recipes are a secret doesn’t do the subject justice. Mostly their concoctions are passed down from one generation to the next orally. That makes sure no one can “find” the other anglers bait recipe. These guys are serious. If you think about what I just said, you’ll understand why I’m not going to say anything more on the subject. The rods we used were 10 to 12 feet long and they were as limber as a buggy whip. We made super long casts out into the water and then we’d let our bait soak. They use tiny hooks with the bait balled up around the shank, and sometimes they put a kernel of corn on the rig. The first day we fished about 12 hours without a bite. But, the next morning we had better luck. I caught a good one — we didn’t weigh or measure it so I can’t say how big it really was — but I can say that it fought hard. The whole thing was a different kind of experience. I’m glad it’s now in my fishing memories. Austin is a super good place to go fishing. The Colorado River is home to several species of fish and they seem to be really healthy and strong. And then, when you get off the water, visit the music or art scene and eat some barbecue. You won’t be sorry about any of it. 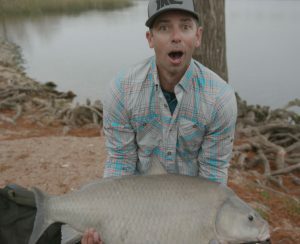 Watch Mike’s “Fish My City Recap – Austin” here. 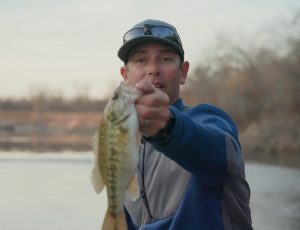 CLICK HERE To Watch the Outtakes from FISH MY CITY – AUSTIN.